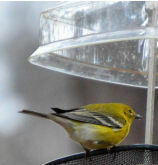 Bird Ready(TM) live mealworms are grown right here is northeast Atlanta, GA. Warblers, bluebirds, catbirds, Carolina wrens, and even chickadees love live worms! 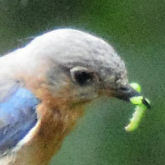 If you are trying to attract worm eaters such as bluebirds or warblers then dried mealworms are the easiest food to use. We carry premium dried mealworms in several sizes! 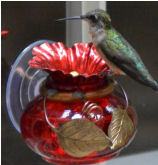 Our Bird Ready line focuses on unique products such as our original Sugar Shaker Nectar Maker to hard to find handmade hummingbird feeders and accessories.